WordPress.com vs WordPress.org: What's The Difference? 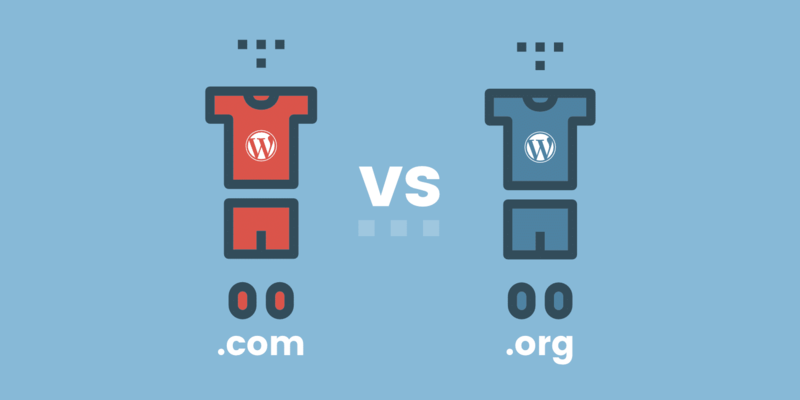 Since the dawn of time, there’s been confusion regarding the difference between WordPress.com vs WordPress.org. This confusion is well-warranted because, well, the names are almost exactly the same. What’s the difference between the two? 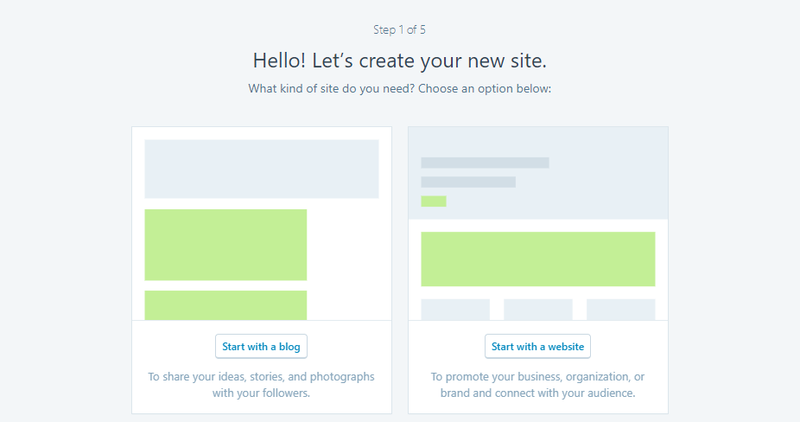 And which one should you use for your website? WordPress.org, AKA self-hosted WordPress, is the actual open source WordPress software that anyone can download and use however they want. You need to purchase your own web host, domain name, and have full control over everything. WordPress.com is one specific “website as a service” implementation built on the WordPress.org software. WordPress.com hosts your site and handles everything for you, but at the expense of some flexibility. Recent changes made by WordPress.com have served to only blur the lines more – but that’s still what the core difference between the two comes down to. 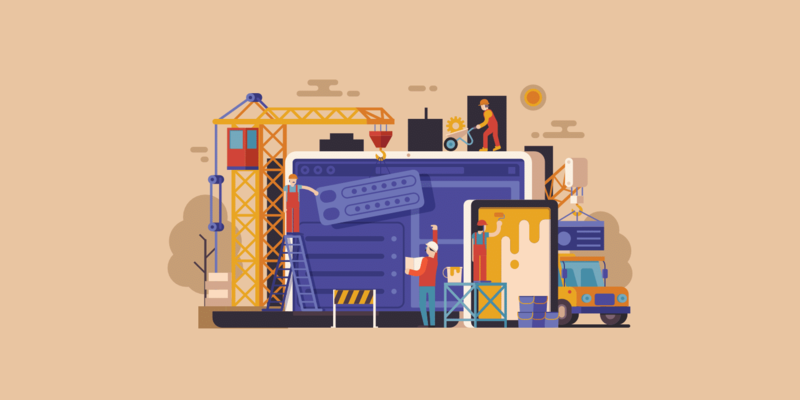 In the following post, we’ll dig deeper into the two options and show you how this core difference actually plays out when it comes to creating a site. Before covering the features, let’s quickly introduce the players. WordPress.org is open source software managed by the non-profit WordPress Foundation. WordPress.com is a for-profit business owned by Automattic that uses the WordPress.org open source software. The two are officially separate entities, though the unofficial lines can get blurred because Matt Mullenweg is both the founder of the WordPress Foundation and the founder of Automattic. As a result, the two entities remain closely linked. At this point, it’s exceptionally easy to create a website with both WordPress.com and WordPress.org. With that being said, it’s hard to deny that the process is even easier with WordPress.com. Here’s a quick overview of what it takes to get started with each option. The whole process takes just a couple of minutes and you’re off to the races. How Much Does It Cost to Create a WordPress.com Site? WordPress.com ranges from 100% free to $24.92 per month. If you go with the paid plans, you’ll be able to use your own domain name and remove the ads, but you’re still limited in what you can do with your site (more on this later). With WordPress.org, the process isn’t quite as simple as just creating an account. But, because of how popular self-hosted WordPress is, the process is still pretty beginner-friendly these days. Then, you can install the self-hosted WordPress.org software on your own host. Nowadays, most hosts make this process as simple as clicking a few buttons – no code required. 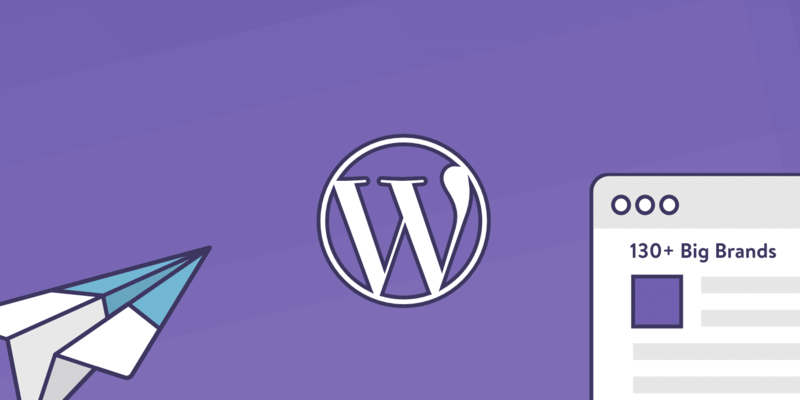 Some hosts, like Kinsta, even offer to pre-install WordPress for you so that you don’t have to do a single thing. How Much Does It Cost to Create a WordPress.org Site? Web hosting – can be as cheap as $3-5 per month, but goes into $100+ for performance-oriented managed WordPress hosts. Domain name – ~$10 per year for a “.com” domain name. When you’re just getting started, you’ll usually be fine creating a site for as little as ~$50 per year total. One of the amazing things about WordPress is its vibrant third-party theme and plugin communities. Themes and plugins essentially let you make huge changes to how your WordPress site both looks and functions. With WordPress.org, you’re free to install whatever themes and plugins you want, while WordPress.com doesn’t let you install themes and plugins on most plans. Can You Install Third-Party Extensions on WordPress.com? For the longest time, the answer to the question was a hard, no. Now, recent changes make it a bit murkier, though the answer is still no for the majority of WordPress.com users. Since August 2017, WordPress.com users who pay for the $300 (per year) Business plan have the ability to install third-party WordPress themes and plugins. That gives those users basically the same power to install extensions as self-hosted WordPress users. Users on all other plans, including both free and paid, are not so lucky. That is, users on Free, Personal, or Premium WordPress.com plans cannot install third-party themes and plugins. WordPress.com essentially sacrifices flexibility in exchange for simplicity. If you just want a casual hobby blog, that tradeoff might be worth it to you. But if you want a site that you can adapt and truly make your own, you’ll find that much easier to accomplish with WordPress.org. Can You Install Third-Party Extensions on WordPress.org? We already kind of teased the difference here, but let’s run through it quickly anyway. With WordPress.org, you can install any one of the tens of thousands of third-party themes and plugins on your site. You have 100% control of what happens on your site. Because most WordPress.com plans are a closed ecosystem, sites that you create with WordPress.com are often more secure by default. With that being said, as long as you put in place the right basic WordPress security practices, WordPress.org is just as secure. With WordPress.com, you just plain don’t need to think about security. Because the system is locked-down, you don’t have the authority to make your site vulnerable, even if you wanted to for some odd reason. Again, WordPress.org is just as secure as WordPress.com. But…you’re the one who’s responsible for implementing that security, now. 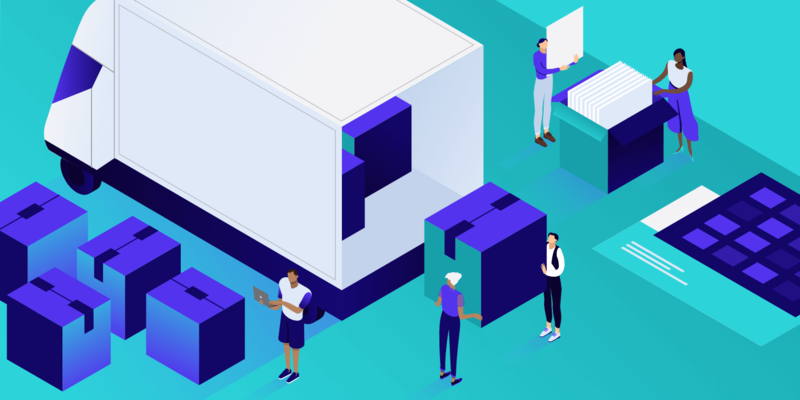 It’s not especially complicated – your host can help with some parts, and WordPress security plugins can do most of the rest for you. But, you definitely need to pay more attention to security on WordPress.org than WordPress.com. Remember – that’s the tradeoff you pay for more flexibility. Beyond limited flexibility, one of the major downsides of WordPress.com is that you’re limited in the ways that you can make money from your website. We’ll go through the limitations below. With WordPress.org, on the other hand, you have zero restrictions. You can monetize your site via literally any method that you prefer. You can even find helpful advertising plugins to help you do it! Basically, unless you’re willing to pay for the $300 business plan, you’re limited in how you can make money from your site. Plus, even on the Business plan, you’re limited by WordPress.com’s definition of how many affiliate links or sponsored posts are too many. WordPress.com vs WordPress.org: Which Should You Choose? In the end, self-hosted WordPress.org is the best option for most serious websites. Its flexibility when it comes to installing extensions, changing functionality, and choosing monetization methods makes it superior to WordPress.com. If you have a site with them but would like to move to a self-hosted platform we have a complete step by step guide: How to Migrate WordPress.com to WordPress.org. Yes, you will need to pay more attention to things like updates and security, but neither is especially complicated. With that being said, WordPress.com definitely has its place. If you just want a casual hobby site and/or don’t mind about sacrificing flexibility in return for ease of use, WordPress.com is still a solid option. Additionally, WordPress.com’s Business plan is blending the traditional line between WordPress.com and WordPress.org. Time will tell how this change manifests itself, but for now, it’s too early to tell. Great Article Brian, very well explained the difference showing between WordPress.com vs WordPress.org. I tell ya. I had wordpress.org a few years ago and hated it. Waaay too complicated for people looking to blog or do business, especially for people new with it. Suddenly you have to become a security guard with it or worry about attacks, malware,etc..Truly hated it.My site was attacked and it was a miserable experience and then shut it down. For people who don’t know much about coding or who want to focus on simply writing I would pay some money per month and go with wordpress.com. That way you can monetize a bit and not worry about security issues. Wordpress.org needs to stop the nonsense already and take care of the security and updates automatically! That is exactly why Kinsta exists. We provide managed WordPress hosting so you don’t have to worry about security, uptime, etc. We even include free hack fixes for all of our clients.